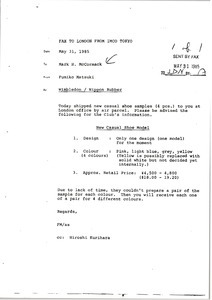 McCormack writes regarding Nippon Rubber launching a casual shoe range and gives details on the guarantee and royalties. 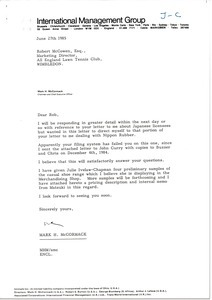 McCormack writes regarding Japanese licensees and Nippon Rubber. 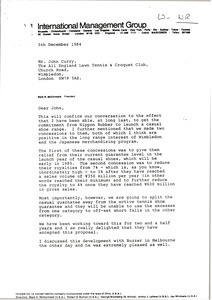 He sends a letter he wrote to John Curry on the subject. Matsuki writes regarding the Nippon Rubber Wimbledon casual shoe samples.